President of India has promulgated Negotiable Instruments (Amendment) Ordinance, 2015 (6 of 2015) . Last week the Union Cabinet, chaired by the Prime Minister Shri Narendra Modi, had given its approval for the proposal to promulgate the Negotiable Instruments (Amendment) Ordinance, 2015. The amendments to the Negotiable Instruments Act, 1881 (“The NI Act”) are focused on clarifying the jurisdiction related issues for filing cases for offence committed under section 138 of the NI Act. 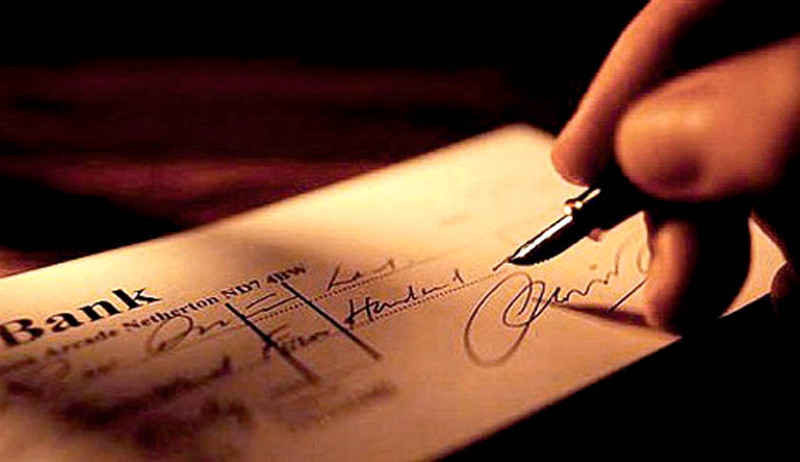 The clarity on jurisdictional issue for trying the cases of cheque bouncing would increase the credibility of the cheque as a financial instrument. This would help the trade and commerce in general and allow the lending institution, including banks, to continue to extend financing to the economy, without the apprehension of the loan default on account of bouncing of a cheque. (b) If the cheque is presented for payment by the payee or holder in due course otherwise through his account, the branch of the drawee bank where the drawer maintains the account, is situate. “(1) Notwithstanding anything contained in the Code of Criminal Procedure, 1973 or any other judgment, decree, order or directions of any court, all cases arising out of section 138 which were pending in any court, whether filed before it, or transferred to it, before the commencement of the Negotiable Instruments (Amendment) Act, 2015, shall be transferred to the court having jurisdiction under sub-section (2) of section 142 as if that sub-section had been in force at all material times. (2) Notwithstanding anything contained in sub-section (2) of section 142 of sub-section (1), where the payee or the holder in due course, as the case may be, has filed a complaint against the drawer of a cheque in the court having jurisdiction under sub-section (2) of section 142 or the case has been transferred to that court under sub-section (1), all subsequent complaints arising out of section 138 against the same drawer shall be filed before the same court irrespective of whether those cheques were presented for payment within the territorial jurisdiction of that court. The Section 138 of the NI Act deals with the offence pertaining to dishonour of cheque for insufficiency, etc., of funds in the drawer’s account on which the cheque is drawn for the discharge of any legally enforceable debt or other liability. The section 138 of the NI Act provides for penalties in case of dishonour of cheques due to insufficiency of funds in the account of the drawer of the cheque. The object of the NI Act is to encourage the usage of cheque and enhancing the credibility of the instrument so that the normal business transactions and settlement of liabilities could be ensured. Various financial institutions and industry associations have expressed difficulties, arising out of the recent legal interpretation of the place of jurisdiction for filing cases under Section 138 to be the place of drawers’ bank by the Supreme Court. To address the difficulties faced by the payee or the lender of the money in filing the cases under Section 138 of the NI Act, because of which, large number of cases were stuck, the jurisdiction for offence under Section 138 has been proposed to be clearly defined. Accordingly, the Negotiable Instruments (Amendment) Bill, 2015 (“the Bill”) in Parliament was introduced in Lok Sabha on 6th May, 2015 and considered and passed by Lok Sabha on 13th May, 2015. However, since the Rajya Sabha was adjourned sine die on 13th May, 2015, the Bill could not be discussed and passed by that House and the Bill could not be enacted. The Bill provides for filing of cases only by a court within whose local jurisdiction the bank branch of the payee, where the payee delivers the cheque for payment is situated. Further, where a complaint has been filed against the drawer of a cheque in the court having jurisdiction under the new scheme of jurisdiction, all subsequent complaints arising out of section 138 against the same drawer shall be filed before the same court, irrespective of whether those cheques were presented for payment within the territorial jurisdiction of that court. Further, it has been provided that if more than one prosecution is filed against the same drawer of cheques before different courts, upon the said fact having been brought to the notice of the court, the court shall transfer the case to the court having jurisdiction as per the new scheme of jurisdiction. In view of the urgency to create a suitable legal framework for determination of the place of jurisdiction for trying cases of dishonour of cheques under section 138 of the NI Act, the Government has decided to amend the law through the Negotiable instruments (Amendment) Ordinance, 2015. The objective is to ensure that a fair trial is conducted keeping in view the interests of the complainant by clarifying the territorial jurisdiction for trying the cases for dishonour of cheques. The Ordinance is similar to the Bill in the sense that the substantive principle for determination of the jurisdiction of the cases under section 138 of the NI Act remains the same, except that that two distinct situations of payment of cheque (i) by submitting the same for collection through an account or (ii) payment of a cheque otherwise through an account, that is, when cheques are presented across the counter of any branch of drawee bank for payment, are covered under the Ordinance.